We’ve written several posts now about three upcoming Sony Xperia phones, the Xperia T, the Xperia TX and Xperia V. This trio of smartphones look set to impress and today we have some release news for the Xperia T as it’s headed for a September launch. Rather oddly though it seems that it will be 2013 before a SIM-free version will be available. We recently told how some benchmark tests showed the 1.5GHZ dual-core processor of the Xperia T, based on Krait architecture, blitzing the performance of some of the hottest quad-core phones on the market. It looks as though the Xperia T could be in demand when it arrives and the release is due between September 27 and 29 in the U.K. according to Expansys, as reported by Tech Radar. Sony also said in a recent statement that it was still planning to release the Xperia T before the end of this month. However if you were after an unlocked Xperia T you may be out of luck for now as Expansys also said it doesn’t expect to have SIM-free stock straight away and possibly not until January 2013. It seems that you’ll only be able to pick up the Xperia T on contract initially from two high street retailers, Carphone Warehouse and Phones4U or from networks. Carphone Warehouse and Phones4U have early exclusivity and already show the tariffs on their websites but only for Orange and O2. It looks though as if Three will also get the Xperia T at some point and there are also possibilities of Vodafone and T-Mobile climbing on board. If you’ve missed the news about the Xperia T then we’ll give you some of the key specs such as its 1.5GHz Qualcomm Krait MSM8260A dual-core processor, 4.55-inch display with resolution of 1280 x 720, 1GB of RAM and 16GB of internal storage with expansion via microSD up to 32GB. There’s also a 13-megapixel rear camera, 1.3-megapixel front-facing shooter, NFC, Bluetooth and WiFi and it all runs on Android 4.0 Ice Cream Sandwich. You may also like to take a look at our previous article with a hands-on video showing the Xperia T.
We’ll be keeping an eye out for further developments on the Sony Xperia T and will bring you news as we hear it. Are you a potential customer of the Xperia T? Are you disappointed that it appears it will only be available on-contract when it first appears? Let us know with your comments. Am definitely buying this fone! Any news on the V coming to UK? very disappointed … hard enough already to get good phones in this part of down under – and even harder when you are looking for something other than Vodafone. I have had 3 Sony Ericsson phones – at present I have the Xperia ray which I love and I was seriously looking at upgrading to this. I’m having a hard time choosing between this and the note 2.. When will it be arriving here in the states? I cant see why I cant buy this phone sim free on release just like all the other new phones on the market. I have waited so long for this phone….. very disappointed. im dissappointed also ,sony needs sales ? it doesnt make sence to me…? 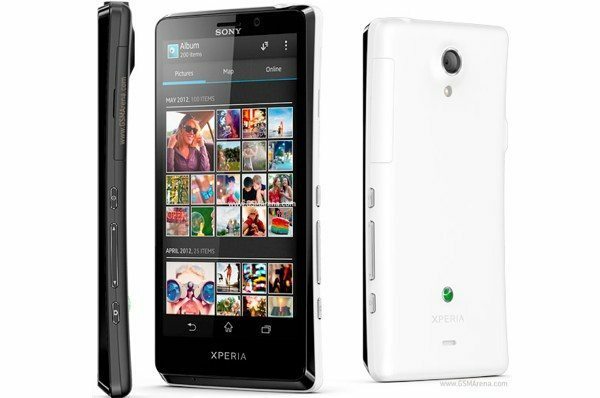 My dream phone Xperia TX! For me it was either Sony Xperia TX (SIM FREE) or Samsung Galaxy BLACK S3 (SIM FREE) but it seems I’ll be going for the Samsung as I’m sure it will come out sooner then the Xperia TX. Very dissapointed with Sony. Can’t believe this, I was looking forward to getting this at the end of the month now I have to wait till January? looks like im gonna have to look at getting another model now or a different phone completely thanks alot Sony.